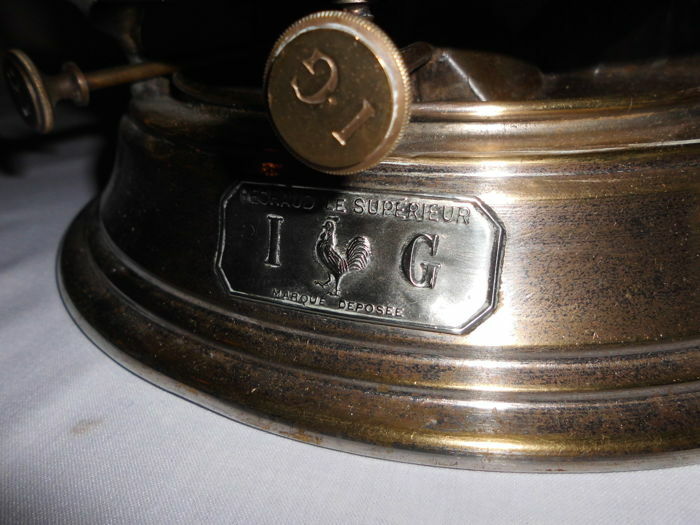 Magnificent French chafing dish with the original logo with rooster. 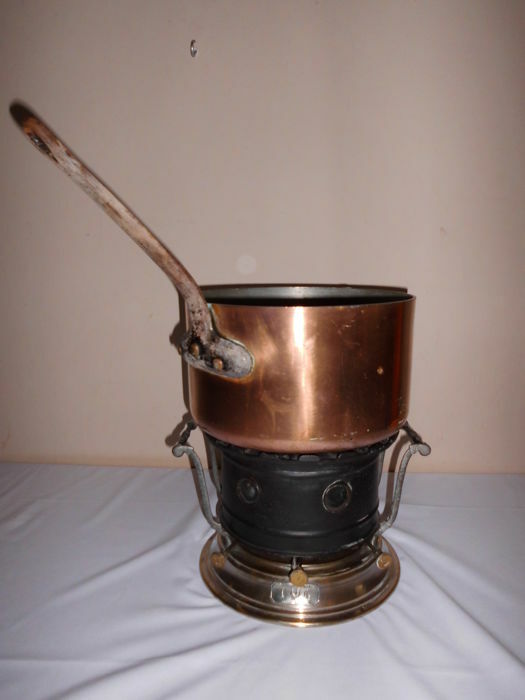 The chafing dish is 23 cm in diameter and is 19 cm high. 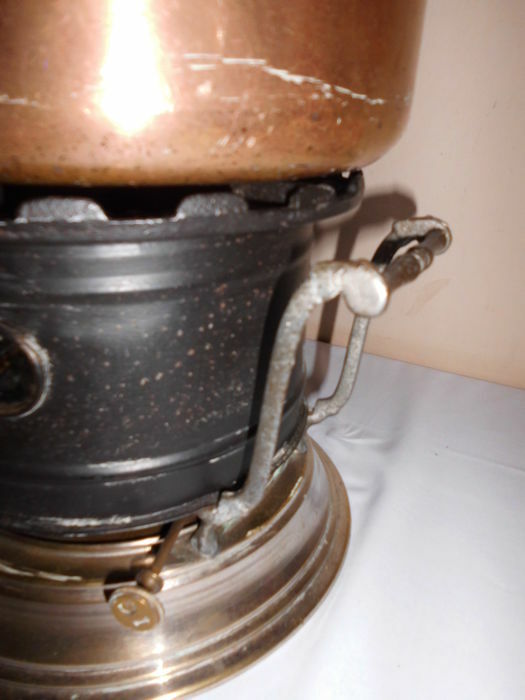 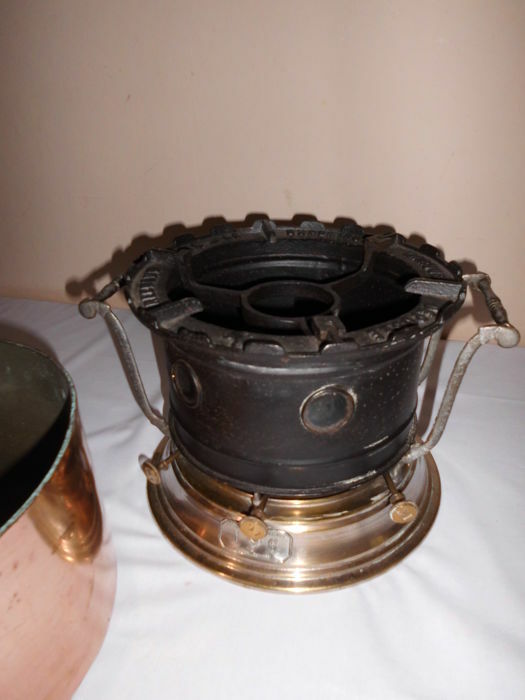 The chafing dish has 3 pits, which are still intact. 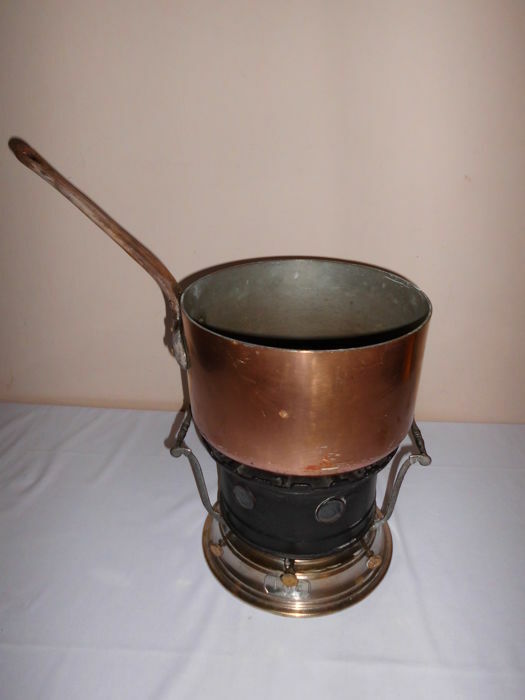 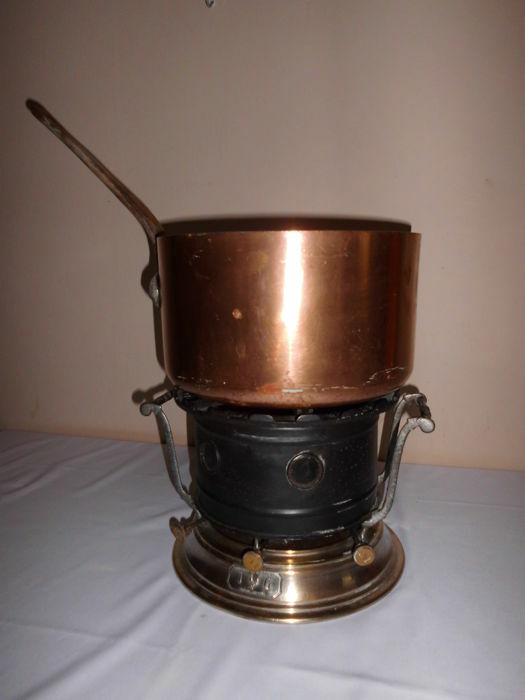 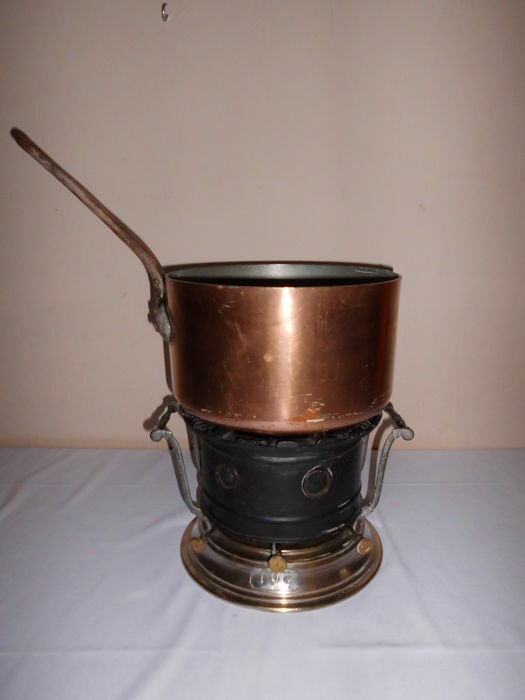 The copper saucepan is 26 cm in diameter and is 15 cm high. 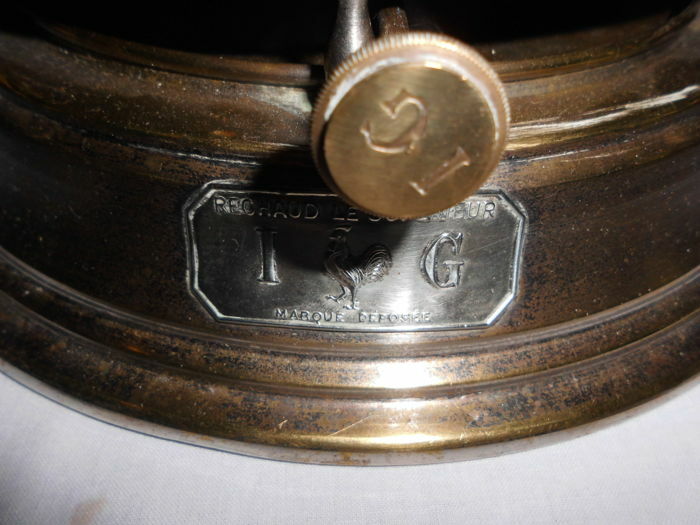 This is a heavy pan. 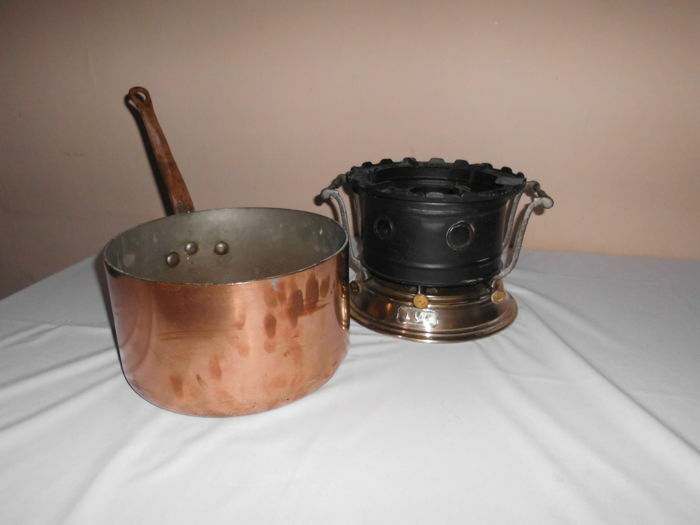 Wonderful set for decoration, or simply still cooking.